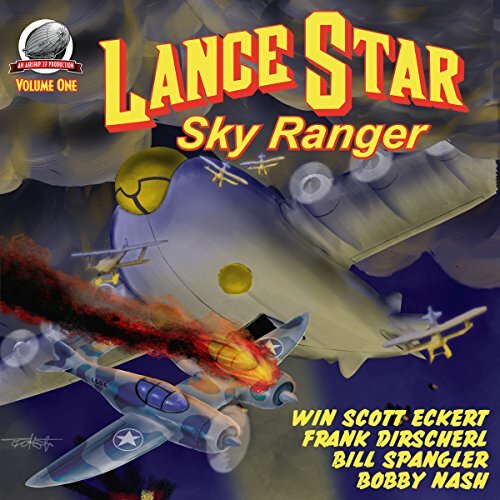 A long-forgotten pulp hero makes his glorious return to action and adventure in this special volume featuring Lance Star and his team of rough-and-ready Sky Rangers. Four brand-new, action-packed tales of highflying thrills await you. "Attack of the Birdman" by Frank Dirscherl. Lance and his wingman-sidekick Buck Tellonger head out to the coast of California where flocks of birds are attacking the populace of a small seaside village. They are said to be guided by a giant bird-man! "Where the Sea Meets the Sky" by Bobby Nash. Somewhere in the Pacific Ocean, off the shores of tropical Hawaii, a hidden treasure has been discovered. Now a band of sky pirates is out to steal it, no matter how many innocent lives must be sacrificed in the process. Only Lance and the Sky Rangers can end their bloody assaults! "Shadows Over Kunlun" by Win Scott Eckert. A government agent sends Lance and his team of flyers off to the roof of the world, Tibet, in search of a lost World War One ace and a hidden power source that could change the course of history! "Talons of the Red Condor" by Bill Spangler. Flying rebels have captured the Panama Canal, threatening to destroy it unless their ransom demands are met-Lance and the Sky Rangers soon find themselves fighting an old enemy who's come back from the grave!